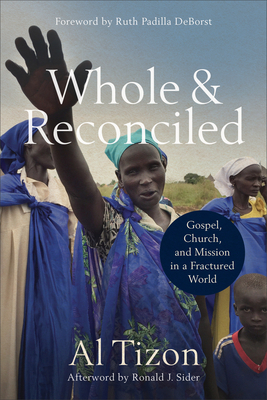 I recently reviewed Al Tizon’s new book, Whole and Reconciled for Missio Alliance. One of the defining and disappointing characteristics of western Christianity has been our instinct to bifurcate the church’s mission. Consider, for example, the countless ways we find to debate whether evangelism or justice should be our priority. Is it the church’s primary mission to address the material sources of a person’s present suffering or the spiritual nature of their future? These either-or debates often happen within privileged confines among those with the ability to theorize about these things. It’s probably not surprising that communities relegated to the margins have often held together the same attributes of Christian identity that others of us have torn apart. I’m thinking of the many African American congregations in my neighborhood whose services end with an old-school altar call and whose bulletins are filled with opportunities for their members to seek justice throughout the week. 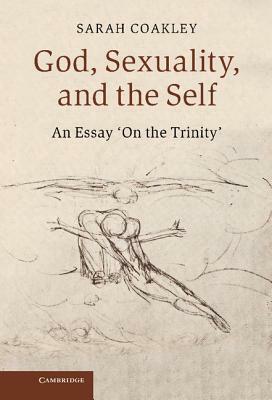 In Whole and Reconciled: Gospel, Church, and Mission in a Fractured World, Al Tizon applauds those who have attempted to bridge theological bifurcations such as this by encouraging, in the language of the Lausanne Movement, “the whole church to take the whole gospel to the whole world.” By emphasizing whole—or, in other contexts, holistic—these theologians and practitioners are advancing a version of mission that cares about word and deed, evangelism and justice. Importantly, the church beyond the west is included in this vision. Rather than the old assumptions about western missionaries being sent to the majority world, mission is now from everywhere and to everywhere. Whole and Reconciled is a paradigm-shifting book with the potential to enlarge how our churches envision and participate in God’s mission. Here are four ways Tizon succeeds in challenging us to think bigger about everything, beginning with reconciliation. Read the rest over at Missio Alliance. I recently reviewed Cara Meredith’s new book, The Color of Life, for The Englewood Review of Books. 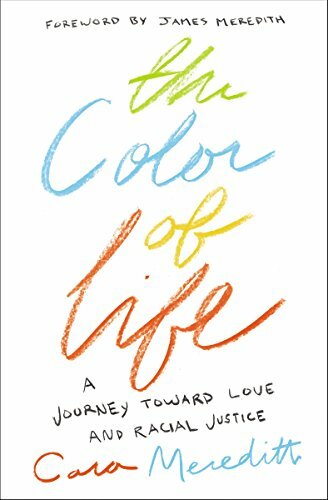 It is impossible not to think about Meredith regularly while reading The Color of Life and not only because the author regularly weaves his story through her narrative. Cara Meredith is the daughter-in-law of the civil rights icon, married to his son James. Also, she is white. Read the rest of the review at Englewood. Once again it’s been tough to narrow down the books I read and enjoyed this year to just five. And as much as I recommend the books below, the entire exercise is pretty subjective; there are some terrific books that I’m passing over here. For example, He Held Radical Light by Christian Wiman is every bit as beautiful as his last book and, similarly, reads somewhere between memoir and meditation on mystery, desire, and faith. I started the year with Ron Chernow’s thick biography on Ulysses S. Grant. Maybe it’s because I keep returning to this era of American history – I’m currently in the new Frederick Douglass biography – but I found the story of this famous general and, in Chernow’s estimation, misunderstood president to be totally fascinating. The section about reconstruction after the Civil War was especially interesting and, inevitably, maddening. 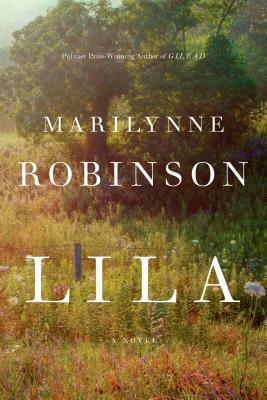 Marylinne Robinson’s new collection of essays is excellent and I finally finished Augustine’s City of God, a book I probably should have begun again as soon as I finished. My friend José Humphreys’ new book, Seeing Jesus in East Harlem, is many things – memoir; theological reflection on geography, race, culture, church, and more; the church-planting guide we need – but it is first of all beautiful and eye-opening. Anyway, you get the idea: the books below are great and there are a bunch of others that could have joined them on my little list. What I read this year was significantly impacted by the book I’m writing. The first four books on this list are ones I’ve engaged with in one chapter or another, but their appeal should be much larger than my relatively narrow focus on race and discipleship. My manuscript is due early next year and I’m looking forward to picking up some of the books that have had to sit on the shelves this year. As always, I’d love to know what good stuff you read this year. Raising White Kids: Bring Up Children in a Racially Unjust America by Jennifer Harvey (2018). I wasn’t expecting to like this book as much as I did. While I really appreciated Jennifer Harvey’s previous book, Dear White Christians: For Those Still Longing for Racial Reconciliation, I wasn’t sure what to anticipate from a book that focuses so narrowly on white children. After having highlighted passages on just about every page, I’m now ready to force this book upon every unsuspecting parent of white children I come across! There a few things that make this book so engaging and Harvey such a trustworthy guide. First, her starting point is a commitment to racial justice – and raising white children with this commitment – rather than vague appeals to appreciating cultural diversity. The difference this makes is hard to overstate. Second, though her concern in this pages is for white children along with their parents and guardians, Harvey is herself situated among a racially diverse community. Her voice, in other words, is shaped and tempered by the wisdom that can only come from being in a genuine relationships with people of color. It’s not hard to find white authors who approach topics like this one with the tone-deafness and blind spots that betray the racial homogeneity of their own experiences. Thankfully the reader will find none of this in Raising White Kids. Finally, Harvey never oversimplifies. She allows what must be complicated and even incomplete to remain so. Her goal when it comes to raising racially conscious white children has more to do with character than a long list of specific competencies. The History of White People by Nell Irvin Painter (2011). It took me some time to make my way through historian Nell Irvin Painter’s study on the development of white people as a recognizable category of people. In part this had to do with how totally comprehensive she is but I was also slowed down by the regular realizations of just how strange the very fact of white people is. If there’s one thing that comes up over and over again in Painter’s many short chapters, it’s that there was never anything inevitable about racial whiteness; the construct itself represents this devious mix of malicious intentionality and the strange accidents of history. Most interesting to me were Painter’s portrayals of the key figures who advanced the development of whiteness or who embodied these developments in some way. People like Emerson and Teddy Roosevelt join other lesser-known figures to help us see the very human side of something that has become so systemic that it takes a book like this one to remind us of how absurd the entire thing is. I’m Still Here by Austin Channing Brown (2018). I realize the first three titles in this list have some variety of “white” in their title, but such has been the nature of my reading this year. 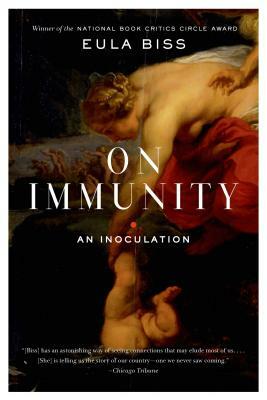 And yes, I’ve already written about my friend Austin’s book, but I couldn’t help by mention it again. For a book that I read in one sitting – both times I read it – I’m Still Here covers a lot of ground. It’s a testament to Austin’s wisdom that she includes so much depth in a succinct space. One of the themes she covers with insight is the experience of black people and other people of color in organizations that are white. Those of us who are white and lead organizations of any kind can benefit greatly from how these experiences are narrated with tenderness and nuance. Sure, sometimes its large and visible moments which force a largely white organization to confront the assumptions and biases its hidden from itself. But, as Austin shows, just as often its moments that seem much smaller from the organization’s vantage point but which, of course, wreak havoc in the life of the person of color who must bear the weight of the racism. I’ll say one last thing about this book. Earlier this year I helped with a weekend racial reconciliation journey through the American South. During our final debrief, one of the participants, an older woman who’d grown up in a institutionally segregated southern town, pulled out Austin’s book. As she described how important I’m Still Here has been to her I couldn’t help but thank God for what a gift Austin has given to so many of us. Liturgical Theology: The Church as Worshiping Community by Simon Chan (2006). When I began writing a chapter about liturgy for my book I reached out on social media for suggestions and this was one of the recommendations that came back. (Each time I’m tempted to quit social media I’ll have an exchange like that one!) I ended up drawing pretty heavily on Chan’s work, in part because I came to this chapter aware of my own limited knowledge about how the church has thought about the Sunday liturgy, but also for how he frames the liturgy within a very robust ecclesiology. 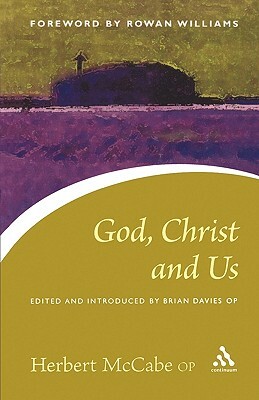 In the first chapter, “The Ontology of the Church,” Chan asks this framing question: “Is the church to be seen as an instrument to accomplish God’s purpose in creation, or is the church the expression of God’s ultimate purpose itself?” For the author the answer is the latter which to many Christians may not seem all that significant, but it’s a game-changer in terms of how we think about the purpose of the church. The implications for liturgy – for how the church worships – are many, but it was this unexpected starting point that hooked me from the beginning. Black Elk The Life of an American Visionary by Joe Jackson (2016). Over the past few years, under the direction of a friend who is Oglala Lakota, I’ve been reading Native American authors and trying to slowly fill in the massive gaps in my knowledge about the history – and ongoing presence – of the many people and nations who inhabited North America long before my ancestors arrived here. This summer, on our drive home from Washington State, our family spent an afternoon at the Little Bighorn Battlefield. It ended up being a pretty powerful experience for me: listening to the Native ranger talk about the battle interspersed with his own more current experiences, walking through the quite hills past markers of fallen soldiers, trying to remember my little knowledge about what happened before and after this one particular moment. Black Elk participated in that battle and earlier during the summer I’d picked up some paperbacks that narrate his reflections and experiences. 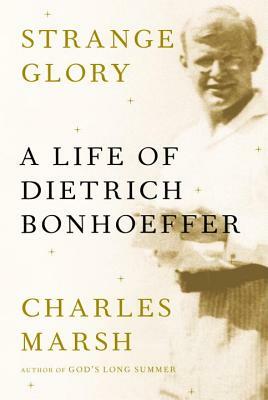 This biography fills in a of the backstory to this particular healer and holy man whose life has to be read to be believed. Black Elk traveled the world, fought alongside his people, experienced immeasurable loss all while bearing the burden of a spiritual vision that pointed toward a day of peace for all people. It was a remarkable life and many more should know about this fascinating and important man. I recently reread Ta-Nehisi Coates’ Between the World and Me and I’m Still Here by Austin Channing Brown. I’ve written before about the way Coates’ writing often provokes people to ask whether he is hopeful, particularly in the realm of racial equity and justice. I’ve suggested that because what so often passes as hope for Americans is actually more like optimism, Coates’ apparent hopelessness is a more Christian expression of our reality than the one espoused by many Christians, privileged ones like me in particular. The mettle that it takes to look away from the horror of our prison system, from police forces transformed into armies, from the long war against the black body is not forged overnight. This is the practiced habit of jabbing out one’s eyes and forgetting the work of one’s hands. To acknowledge these horrors means turning away from the brightly rendered version of your country as it has always declared itself and turning toward something murkier and unknown. It is still too difficult for most Americans to do this. And so, rather than face the realities which Coates describes, we ask about hope. Or, rather, we ask to be given hope. To be soothed with hope. As with Coates, Austin’s book demonstrates the madness of these questions. In particular, it is her descriptions of working within predominately white spaces that gives us an idea about the assumptions behind these questions. There is something obscene about asking the person who has described the system of oppression that constantly crashes upon her body to make me feel better. Yet, time and again, this is how it goes down. When we ask about hope, many of us are actually saying, Let us not talk anymore about your suffering or our complicity with it. Tell me, instead, that I will be OK.
On the other side of this death, says Austin, is the shadow of hope. From within this shadow we believe and work having shed all optimism. “It is working in the dark, not knowing if anything I do will ever make a difference. It is speaking anyway, writing anyway, loving anyway. It is enduring disappointments and then getting back to work… It is knowing that God is God and I am not.” Though she doesn’t quite say it, I think the shadow of hope that Austin describes is one in which faith is given an honored seat. Whereas American hope demands proof, no matter how deceptive, the shadow of hope allows us to move forward, even in the deepest shadows, by way of faith. Austin has given us something far better than the hope so many have clamored for. She’s given us the truth.